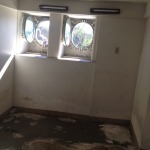 In an effort to get our readers and myself into the ‘spirit’ of Halloween this week, I visited, what has been billed as, ‘one of the most haunted places in the world’ – the Queen Mary. Not the actual queen, although by the looks of her picture in the grand foyer, she could have haunted a house, but I’m speaking of the ship the RMS Queen Mary, now docked in the port of Long Beach. Two ‘Haunted Tours’ were offered, I took both of them, but first a little history of this grand ship (Don’t worry, I’ll make this the Reader’s Digest version). 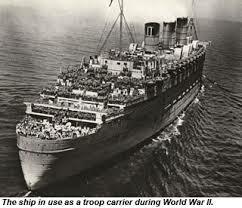 Commissioned in 1936 as a luxury liner, she was soon put to work as a troop carrier when World War II broke out. 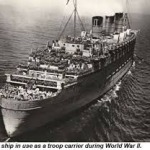 In fact, she still holds the record for the most people (troops) transported across the Atlantic in a single voyage – 16,683! She was painted gray to help avoid detection and was ironically called the ‘Gray Ghost’, long before any ghost stories about her emerged. Hitler actually had a bounty on her, offering over $2 million to any U-boat captain that could sink her. There were two reasons the mustachioed maniac never had to pay up, 1) the Queen Mary was actually quite fast and could outrun a German submarine, and 2) the code breaker, Enigma, helped identify the location of German U-boats. After the war she went back to being a luxury liner and for a mere $1,400 you could cross the Atlantic on her. Doesn’t sound like much now, but the average income in the U.S. in the late 40s was right around $2,000 . . . a year! Which is why the ship’s manifest included such names as, Bob Hope, Fred Astaire, Greta Garbo, Bing Crosby, Clark Gable and Elizabeth Taylor. OK, let’s get to the spooky part. 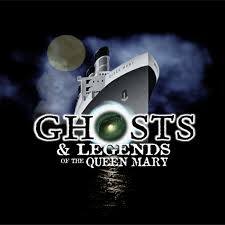 The first tour I took was called ‘Ghosts & Legends’ and was much like Disney’s ‘Haunted Mansion’; it was a walking tour that took a group of about 12 of us into the bowels of the ship, down narrow stairs and dark passageways with special effects along the way. We stopped at one of the two indoor pools where we could hear people splashing and playing – real water drops hit our face, despite the fact that the pool has been empty for decades. We continued further down in an elevator, but when we exited, the doors jammed behind us and we had no way to get back up. Just then, leaks began to appear in the ships ironclad walls and water came pouring in – we seemed doomed, but we escaped just in time as our guide lead us to a secret passageway to safety. This tour is definitely not for those afraid of the dark or the claustrophobic. The second tour I took was called ‘Haunted Encounters’, where a guide took us throughout the ship and related real ghost stories evoking such characters as the last captain of the ship, a ‘lady in white’, a young girl who still swims in the pool, a crew member who was crushed to death in the engine room by the closing of ‘Door 13’, as well as other various ‘shadow people’ and balls of light. One of the most intriguing stories was about Room B340, where a man was purportedly murdered, faucets turn on by themselves and bed sheets fly across the room. 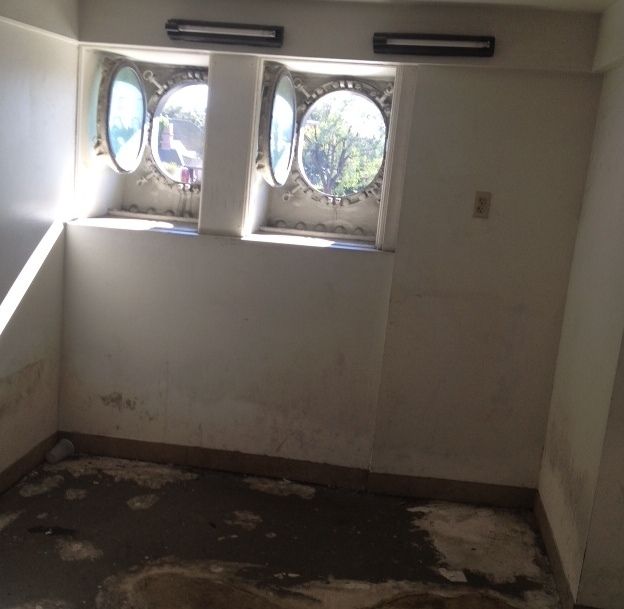 The room has provided so many paranormal experiences that it is no longer rented out, in fact, as the picture I took when in the room shows, it is completely bare of furniture. The tour ended with our guide telling us of several ‘ghost stories’ that he experienced personally including seeing wet footprints by the pool that’s been dry for decades. I couldn’t tell if he was telling the truth or he had to make up those stories so he could keep his job. Either way, the stories were very entertaining. The tour ended and we were left to wander the ship on our own to see if we could have any encounters of third kind. As I walked through the Grand Foyer and poked my head into the Grand Ballroom to get a peek, I was struck by how truly grand this ship is, even today. The art deco décor was so 40s that it seemed ‘in’ today. It truly must have been magnificent in its day. 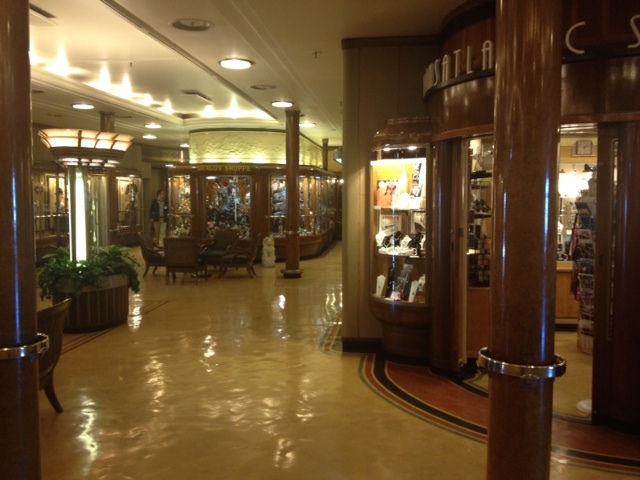 My visit to the Queen Mary was complete, including a honest-to-goodness paranormal experience . . . or was it just a coincidental iPhone malfunction? Oh, the paranormal experience? I swear this is true; back when I was visiting room B340 I waited until everyone had cleared out of the room so I could take a picture of it with my phone. I took the shot you see here and then my phone vibrated and showed the ‘Ringer Silent’ and the symbol of the bell with a line through it (putting my phone on vibrate), then it vibrated again and the symbol ‘Ringer’ and the bell with no line through it; that happened three times in a row! Yes, vibrating frantically each time as it went on and off, and I never touched the vibrate on/off switch – honest! Have a Happy Halloween – may the ‘spirits’ be with you!